I have nothing against Lady Gaga…. Many times, she's a hot mess. Sometimes she makes an innovative fashion statement. 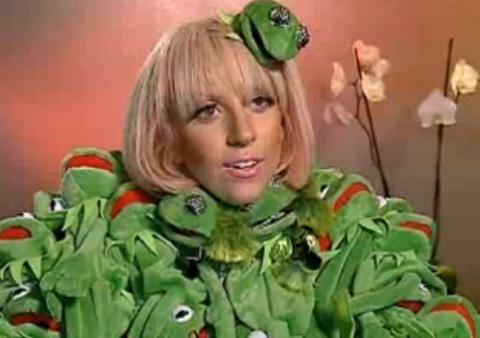 Mainly, she looks like she's running out of ideas and is pulling at straws, this times it was stuffed frogs.